The Rolling Stones Song of the Day is I’m Moving On. I’m Moving On was written and first performed by country music Hall of Fame member Hank Snow back in 1950. 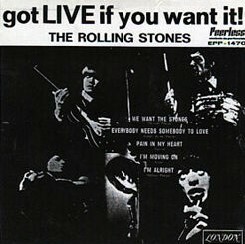 The Stones version was recorded live at the Regal Theater in London on March 5, 1965 or at the Palace Theater in Manchester on March 7, 1965. The sound engineer on this recording was an unknown at the time but would go on to become one of the most famous sound engineers Glyn Johns. The Stones did their own take on this song and sounds very little like Hank Snow’s original.